Pure Core is a fresh innovative product which is perfect for both interior and exterior signage and hoardings due to its extremely hard wearing and waterproof advantages. Pure Core maintains its form even in wet conditions, making it the perfect material for outdoor signage. With a 10 year UV tolerance guarantee as well as an easy-peel protective film, it can be sure to meet all your requirements. 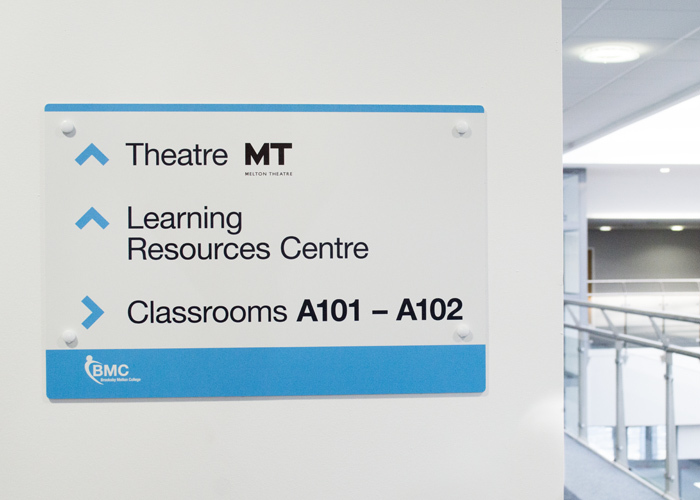 Pure Core is an attractive alternative to Dibond with a solid white core, perfect for smaller indoor signage, where an unsightly black core would normally be visible. Pure Core can easily be digitally printed, engraved, fabricated, routed and finally cut to shape to give you an end product that engages with your clients. More so, Pure Core can easily be line bent with no creases and heat formed to create the perfect finish. To find out more or to request a sample please call us on 01332 613900, or fill out the form below.